Andrea and Matt's wedding features a lot in my most recent portfolio. Their wedding day was so varied, between the getting ready photos at a thousand year old hotel, to a church service in a stunning countryside location, to their wedding reception at the Moat House in Dorsington. 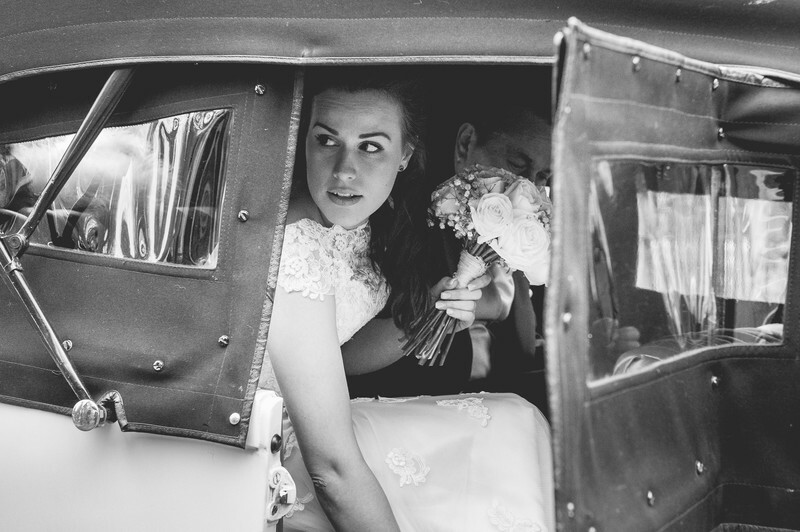 This is an example of one type of photo that I'm always keen to try and get at a wedding - the bride arriving at the church or civil ceremony venue with her father or person giving her away. I love these photos for a number of reasons, but mainly, you can tell so much about the bride's demeanour with these images. You can usually see if the bride is more excited than anxious, or the other way around. These photos are also usually found in black and white, and removing colour from the image really lets you concentrate on the emotion that's on display, something that's often overridden by strong colours being in the photo. 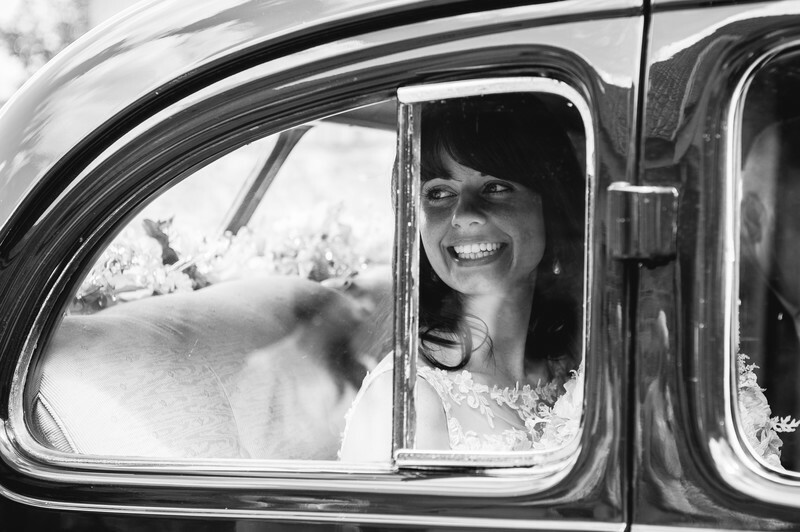 Take a look at these similar images from other weddings - The first from Ashley and Lydia's wedding at Kempsey Church in Worcestershire, and the second image from Cathy and Andy's Deer Park Hall wedding. 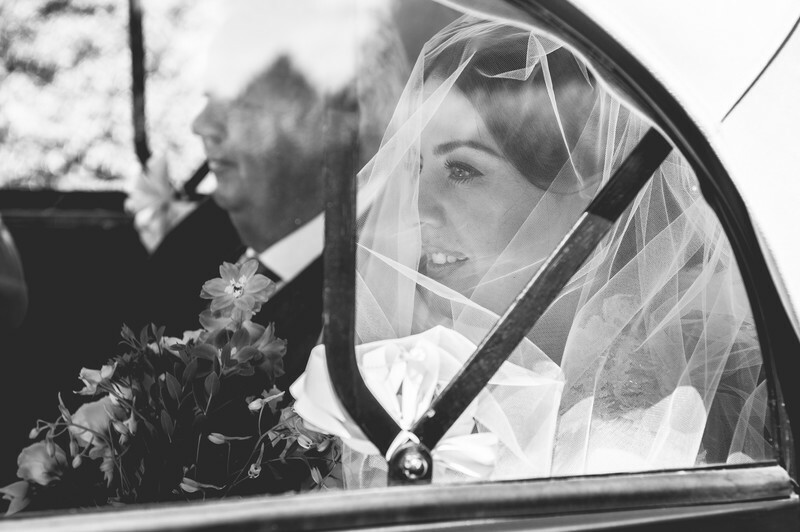 Every image is remarkably similar; black and white, showing a bride sitting in a car, but the actual feelings on display in each photo is vastly different, and each one plays a vital role in the story it tells of the wedding day as a whole.